The lights went out on August 14th, 2003 in Ontario and the eastern U.S. when a massive power outage hit a portion of the North American continent. Over 50 million people were affected. After the scramble for batteries, gas and cases of beer subsided, hot and sweaty Ontarians were forced outside to find relief from their stuffy homes now void of air conditioning and commuters in larger cities reluctantly camped out in public parks and in front of government buildings to wait out the black-out. Three lives were lost in Ontario that night but in the midst of tragedy and inconvenience there was beauty in the darkness. The night sky glittered, infinite stars forming a celestial canopy above the entire province. For many it was the first time they witnessed the sky as it was created and for some, they might not have cast their eyes on such a sight again since that night. Jeffrey Deans setting up his telescope on the shores of Lake Superior Provincial Park for an evening of star gazing. By day Jeffrey Deans is a senior IT architect with the OLG in Sault Ste. Marie, by night he is the outreach coordinator for Algoma Astronomers. 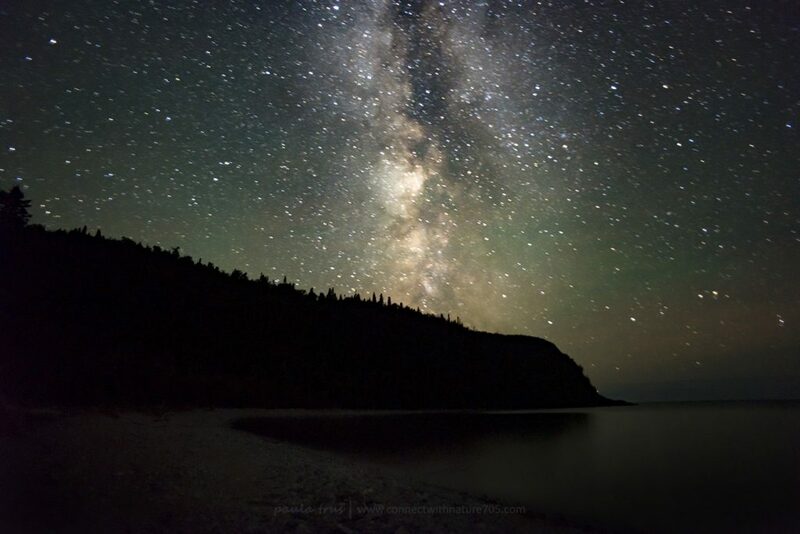 Deans is leading an initiative with Lake Superior Provincial Park that if successful will achieve a Dark Sky Preserve designation and would be the first provincial park to do so. 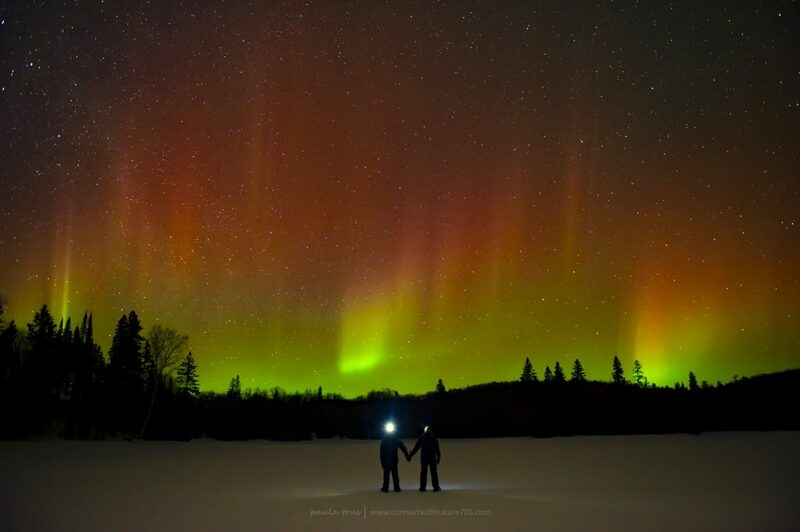 Dark Sky Preserves are assigned their designation by the Royal Astronomical Society of Canada. 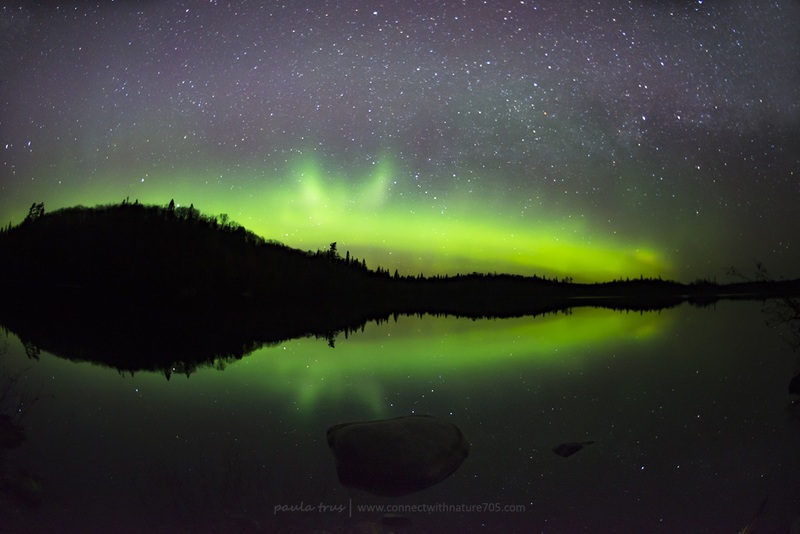 A Dark Sky Preserve is an area that is kept free of artificial light –for the most part. Lake Superior Provincial Park has a total area of 1550 square kilometers of which 98% is classified as protected natural environment zones. The entire area is lit by only 65 lights on an as needed basis. Deans remarked that it is believed that Lake Superior Provincial Park is the darkest of Ontario’s parks and the darkest spot on the highway between the communities of Sault Ste. Marie and Wawa. Criteria required to attain a Dark Sky Preserve designation includes: that the area is dark; the darkness has to be protected; the designated body implements public outreach to teach about dark skies and astronomy; outreach must also be extended to surrounding communities to encourage the protection of dark skies; and a lighting survey of the area must be completed and a strategy developed to retrofit non-compliant lighting in the area –should it exist. 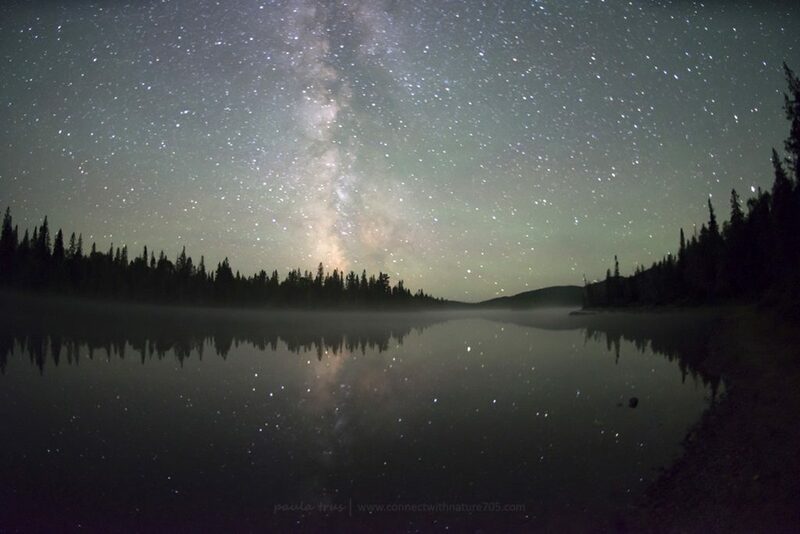 Today light pollution prevents 80% of North Americans from seeing the Milky Way. Research demonstrates the measurable impact of light pollution upon our ecology system as well as human wellness and behaviour. Sea turtles, migratory birds and frogs are only a few animals whose patterns have been disrupted by artificial lighting. It has been found that sea turtle hatchlings are disoriented by the bright lights found along the beaches. The sea turtles emerge from their nest and seek the ocean, guided there by the reflection of the moon on the water. Artificial lighting confuses many of the hatchlings who head off in the wrong direction and expire to predation. Millions of sea turtles die this way every year. Some coastal areas have established a ‘lights out’ ordinance when hatchlings are expected to leave their nest for the sea. Birds require light from the moon and stars to migrate or hunt. Artificial lights sends millions of birds on a collision course into brightly lit buildings. Artificial lighting also prevents birds from identifying ideal migrating, nesting and foraging conditions. It has been noted that some crime like graffiti or vandalism thrive under night lighting. Perhaps the most researched effect that light pollution has on humans is the impact of artificial lighting on our sleep patterns. Not only street and outdoor lighting but an influx of electronic devices in our home has inclined many people to poor sleeping habits. Artificial light interrupts “our natural circadian rhythms…and as a result, our brain produces less of the hormone melatonin, which is produced in the absence of light and helps regulate sleep”. Deans has been speaking with Sault Ste. Marie’s City Council and is hoping to establish an area in the city that is reasonably protected from light pollution or at least direct light that could be designated as an Urban Sky Park. Deans would like to utilize the area for public outreach. 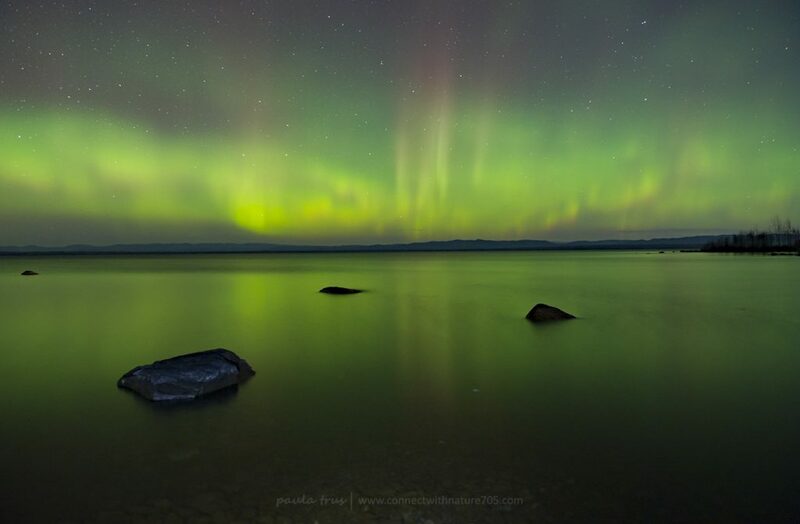 As with Lake Superior Provincial Park, the City would have to follow the criteria required of an Urban Sky Park which includes the establishment of light pollution abatement by-laws. The City has put this thought on ice for the time being. In 2015 the City of Sault Ste. Marie kicked off a LED Road Lighting project that will see the conversion of 9,050 street lights by the end of October 2016. Though it was difficult to obtain an accurate number it is worth noting that the number of lights regulated by the PUC do not include parking lot lights or other lights erected on business properties. Zin elaborated that the new LED lighting system provided an automatic control system that allows PUC crews to know when issues arise with individual lights –such as a light not going off during the daytime. Using a sky quality meter, measures the darkness of the sky by juxtaposing the stars to the depth of blackness in the sky. Within the last year, the darkness of the sky above Deans’ driveway in Sault Ste. Marie decreased by 100%. Deans attributes this to having a long burnt out bulb replaced in a street light along his property line. However, when Dean measures the star lit sky above Lake Superior Provincial Park, the blackness increase by almost 800%. People living within the Algoma District may be wondering about the impact of industrial wind turbines on dark skies and dark sky preserve designation. 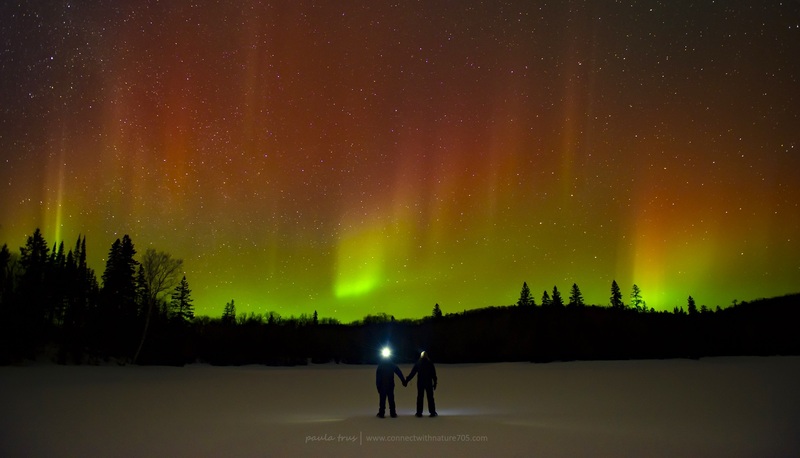 The North Frontenac Dark Sky Preserve was the first dark sky designation in a municipality in Canada. However, the development of a nearby wind farm has threatened that status. “North Frontenac has a designated observation area and they were unable to protect that from a wind turbine that has blinking lights on it less than a kilometer away. The area has been ruined. North Frontenac had no control over that. Industrial Wind Turbines are under provincial jurisdiction. The province wrote a whole bunch of laws that can supersede any municipal by-laws and basically most of those laws can wipe out any local resistance to them. It’s a big shock that the Ontario government did that. Why did they have to put a wind farm right there? Why couldn’t they put it five kilometers away from there where it wouldn’t have been a problem?” stated Deans. However, Deans isn’t worried about the Bow Lake Wind Farm located on the perimeter of the south end of the park nor is he worried about further development. Currently the application for Dark Sky Preserve designation is in review by the park. It is hoped that the application will be approved in time for the re-opening of the park on the May long weekend in 2017.